The long awaited nominations are finally out for the 6th Annual Spirited Awards which will be handed out at during July’s cocktail lovers festival, Tales of the Cocktail, in New Orleans. Below is a press release from the Tales team. We also added the Loungerati predictions and our crew will be in attendance for the presentation of awards. “Following a rigorous evaluation of hundreds of nominees, ten finalists for each award category have been chosen for the 6th Annual Spirited Awards®, recognizing the year’s best bars, bartenders, writers, experts and more. American and international judging committees comprised of the most respected minds in the cocktail industry selected the finalists for the 17 award categories. Winners will be announced Saturday July 28 at the Spirited Awards® ceremony being held at the Hyatt Regency Hotel, as part of the Tales of the Cocktail® 10th anniversary celebration. “The Spirited Awards® ceremony is the night when the cocktail industry can step out from behind the bar to receive the recognition it deserves,” said Ann Tuennerman, Founder of Tales of the Cocktail®. Loungerati prediction: Ivy Mix for her talented drink making and 'above and beyond' work on Speed Rack, a competition by female bartenders against breast cancer. Loungerati prediction: Real tough one here between Todd Richman and Jim Ryan. We need to see the sales figures but our bet is on the ubiquitous Todd Richman whose territory for Sidney Frank seems to be EVERYWHERE! Loungerati prediction: Anvil Bar & Refuge. This year maybe the year when the honors go to a non-coastal city bar. If it does, Anvil is the logical choice. Loungerati prediction: So many inspiring bar mentors on the list but only one can win. We believe Julie Reiner (Clover Club, Flatiron Lounge, Lani Kai, Pegu Club) will take the honors - she is certainly due. Loungerati prediction: Jackson Cannon’s Boston crew from Eastern Standard will take this one. Loungerati prediction: Will this be another year when a blogger wins best cocktail writing? Well sort of, Robert Simonson who writes for the NY Times and "Make it Simple but Significant" blog will sneak by the favorites like “I’ll Have Another” at PIMLICO. Loungerati prediction: Shameless NYC support - If there was a standard bearer for the return of craft cocktails in the print media it would be Jordana Rothman bar/lounge editor of Time Out NY. Loungerati prediction: If anyone is due it is Angus Winchester of Tanqueray. The Tonight We Tanqueray campaign has thrown some of the best parties of the year and kept the brand on everyone’s radar. Loungerati prediction: We would love nothing better than to have Gaz Regan’s Annual Manual for Bartenders 2011 win since one of Fredo’s cocktails is included in the 101 Best; however, the tide is with Jim Meehan's must have PDT Cocktail Book. Loungerati prediction: What a year for great new bar products. From the iconic Standard Issue Ice Mallet for Steve Schneider to Lillet Rose and Tomr’s Tonic Syrup. Our bet is on Lady Lillet Amanda Boccato and her delightful rose. Loungerati prediction: The Beagle puts the cocktail in the forefront; it will be regaled on award night. Loungerati prediction: Chances are Dushan Zaric (Employees Only, Macao Trading Co) will pick up where his bar left off last year and take the prize. But Michael Madrusan from Everleigh could be the surprise of the night. Loungerati prediction: Last year Sydney, Australia stepped up with Eau de Vie, this year the honor will pass to London’s 69 Colebrooke Row. Loungerati prediction: Clover Club, which continues to take nominations across all categories for good reason. Loungerati prediction: I just think it would be fantastic if Daddy-O won this award. Phil has turned Steve Crane’s industry favorite into a true egalitarian bar that can satisfy NYU students to cocktail connoisseurs. Loungerati prediction: We love what Meghan Dorman and Theo Lieberman have done with Lantern’s Keep at the Iroquois Hotel. Loungerati prediction: Maison Premiere is not only our choice but yours as well. I mean oysters and absinthe, it is almost unfair to the others. Tickets to the Spirited Awards® ceremony can now be purchased online at TalesoftheCocktail.com for $65.00 for individuals or $650.00 per table of 10 seats. 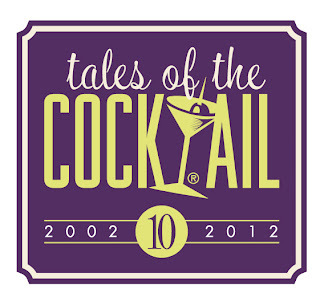 The Spirited Awards® are just one part of the historic 10th Anniversary Tales of the Cocktail® being held in New Orleans July 25-29, 2012. 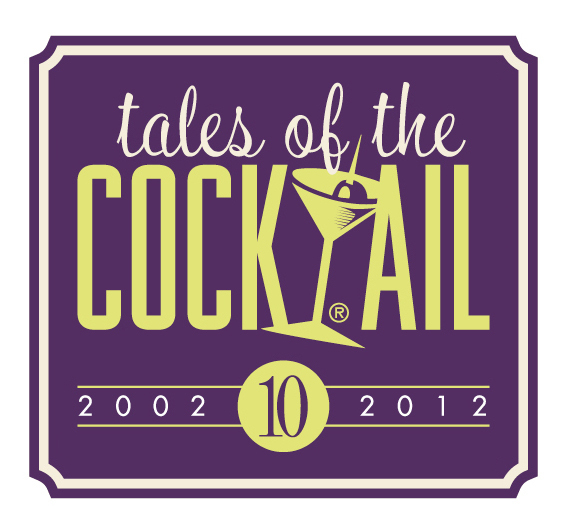 Visit the Tales of the Cocktail® website to learn more about the week’s spirited schedule of events. Doppelgänger Alert at the Pink Room! There are lots of great events happening around town this week but we hard boiled them down to our top three lounge picks. First, take a surreal trip into the double vision world of David Lynch's Twin Peaks curated by burlesque temptress Francine The Lucid Dream. Then sport your finest vintage inspired threads and get your jazz fix on at a double header of Jazz Age Harlem and Dorothy Parker Wit's End madness! Make sure a gin martini is in your mix. Those who have been following the adventures of Francine “The Lucid Dream” this past year will know that she is no stranger to sweet treats or dual-identities. While everyone is familiar with the tasty donuts that often frequent Francine’s David Lynch Burlesque shows, not everyone has faced their own doppelgänger. This is not a celebrity Facebook profile picture, this is a double walker of a paranormal and spiritual nature with a very Lynchian twist on it. Come meet Agent Cooper – both of them! If Laura Palmer won’t talk to you, maybe her brunette cousin, Madeline, will! Step into the era of elegance and class where fancy was in fashion and fantasies began with the pop of a cork. Enter a place where the crowd is sophisticated and melodies float through the room like bubbles in a glass of champagne. Dandy Wellington and His Band invite you... to engage in a night of sartorial splendor, majestic music and lavish libations, where the sounds of Jazz Age Harlem come alive under the lights of Broadway. Wit’s End and the Dorothy Parker Society invite you to celebrate the social life of the Jazz Age with Gelber and Manning! Come in your finest 1920s & 1930s vintage or vintage inspired evening attire and celebrate in style with live hot jazz, vintage cocktails and good times! Live jazz from Wit’s End regulars Gelber and Manning! 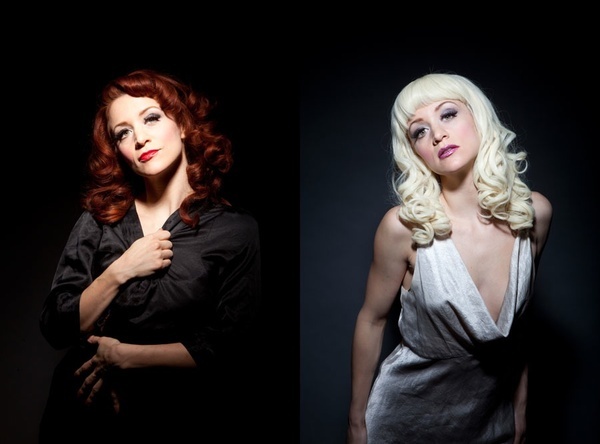 Playing traditional jazz, vaudeville music and new songs from the turn of the century, Gelber and Manning are a Brooklyn-based musical vaudeville duo, comprised of Jesse Gelber on piano and Kate Manning on vocals. Kimberly Fay Greenberg (One Night With Fanny Brice) will be a special guest in our salute to vaudeville! Dress code: Coat and tie for gents, cocktail/evening attire for ladies. 1920s, 30s and 40s vintage is encouraged! Loungerati’s top pick for This Week in Lounge is The Salon’s Silver Screen event at Rebel NYC on Friday May 18th. Besides the all-star line up of hot jazz musicians, ladies of striptease, and retro DJs, Loungerati’s Fredo from Loungerati and Hanson Place’s Nino Cirabisi will be stirring and shaking craft cocktails. What is not to love? “Travel back in time to the golden age of silent films for a night glamour and frivolity! 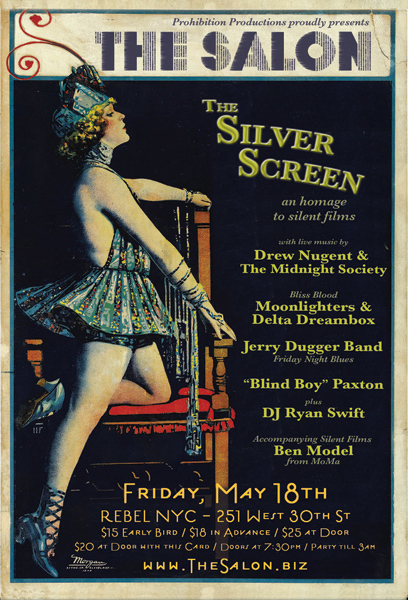 A hot jazz band and dancing in the main room, plus silent films accompanied live in the Lounge by BEN MODEL from MoMA’s silent film series. As the night gets late, our bawdier and naughtier side emerges with scintillating burlesque - we'll dance with our friends from FRIDAY NIGHT BLUES till the wee hours to live blues music, plus stag movies from the 1920s and French Postcards... a night not to be missed! Also beer specials all night, sponsored by GROLSCH BEER! • Happy hour from 7:30 to 8:30pm, with 2-for-1 Grolsch & Peroni! • $4 Blue Moon & Coors Light from 8:30pm till party ends! • $6 Grolsch & Peroni from 8:30pm till party ends! Radishes boutonnières by Michael Ingbar. Presented by Prohibition Productions, Loungerati.com, Friday Night Blues and sponsored by Grolsch Beer." This Saturday, May 5th is a veritable tri-fecta of major drinking related events. Supporters of English football will soak in the lager while sporting heavy weights Chelsea FC and Liverpool FC battle for the silver in the annual FA Cup. Expect pubs to be showing the match and a sea of red and blue kits battling for supremacy. It is also Cinco de Mayo, a national Mexican holiday celebrating the victory over an invading French army at the Battle of Puebla in 1862. Tequila, Mezcal, Dos Equis, Margaritas, and even a few Mexican Firing Squad Specials will be flowing at the bars while revelers munch on mucho grande amounts of Mexican food. When you are finished with England and Mexico, come back to your Ole' Kentucky home and celebrate a true American tradition in style at the most exciting two minutes in the sport - 138th running of The Kentucky Derby. The Derby party is as "lounge" as it gets and combines everything we love: a chance to dress up sharp, fancy cocktails in silver chalices, and a sporting wager. We recommend the following destinations to enjoy the finest mint juleps in a crowd of clad in seersucker and elegant straw hats. Fresh off the victory winning Best New Cocktails Award by TimOutNY, Maxwell Britten and his crew of dapper drink slingers will be throwing one hell of a pre-game BBQ in Maison Premiere's backyard. Icy platters of oysters will be plentiful and an extensive menu of mint juleps served in silver beaded tins will be available. The House Band starts at 3 and goes to 7. The Derby will also be broadcast live on the cocktail den’s famous old fashioned radio from 6:28 to 6:30. Bulleit Bourbon will provide complementary passed hors d' oeuvres and mint juleps. Mixtresses Elayne Duke and Julie Reiner will set up shop in the front of Clover Club with their julep bar again this year. They will wear fancy hats, and crank out juleps for all. Oh yeah, there will be a very short horse race shown;) Don't miss it! 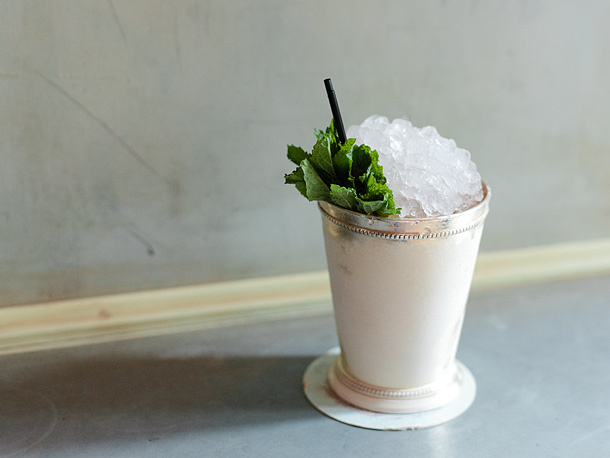 The gang at Rum House break out the julep cups, crushed ice, and copious amounts of mint and partner with Maker's Mark for Julep drink specials. Come watch "the most exciting two minutes in sports" on the big screen with Maker's Mark cocktails and fabulous prizes. There will be food. There will be hats. And there will be ponies. My money is on Stay Thirsty (20:1) to take the derby and Chelsea to win the cup!